All team sports, athletic training groups, fitness classes like yoga, boot camp, etc., and everything in between are welcome! 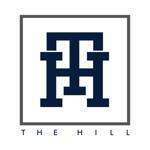 We would like to extend a special offer to rent fields at our new facility, The Hill, for a great price!! Our facility is located at 2190 W. Lucas Rd. Allen, TX 75002. There are currently 2 full-size fields available for rent. We also have half-field options available and a designated training center area to fit your specific needs! Our fields are lined as lacrosse and soccer fields, but they can be used for any type of outdoor activity. We have several goal posts at the facility, so you will not need to supply your own. The fields also have adequate night lighting, so they can be used into the dark and time is no longer a constraint for you! The Hill rental prices are unbeatable! We offer tiered pricing, so the more you use, the more you save. See pricing details below. All participants must fill out online liability waiver to use the fields at The Hill.